Long Handled Digging Spade - This long handled digging spade is fantastic for tough jobs. 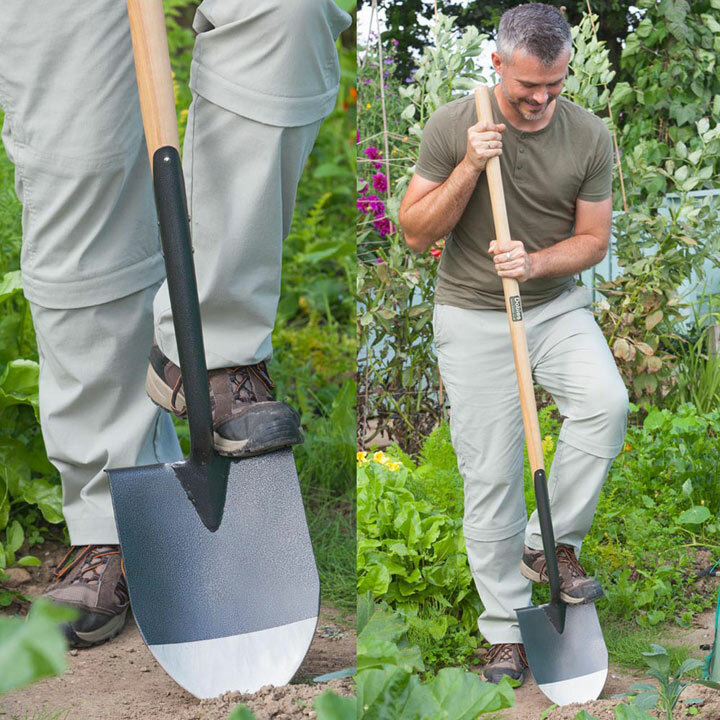 Made of top quality carbon steel and our unique, extra-long lipped socket, it makes digging so much easier. 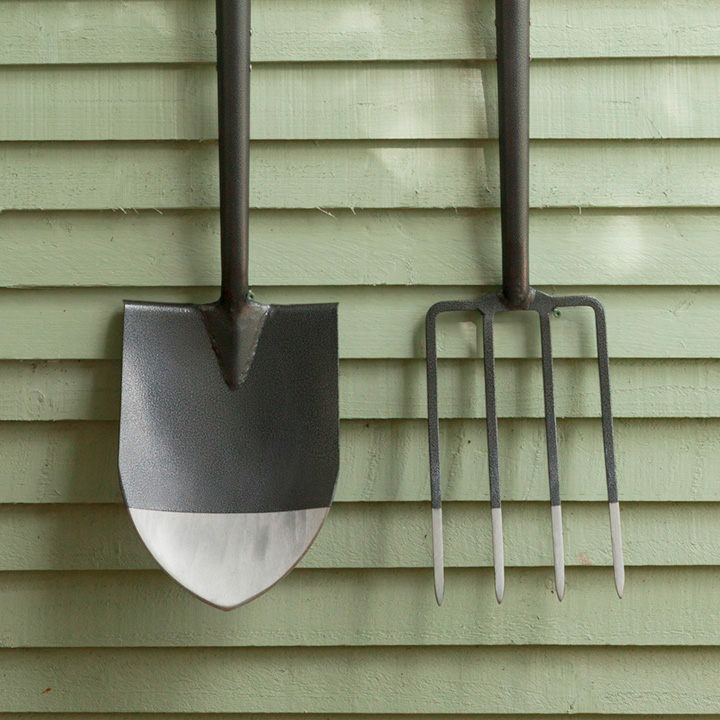 The rounded but pointed blade offers less resistance and the long sculpted ash handles means a more back-friendly digging position. Ater all, if you’re spending all day digging, you have to be comfortable. Length 158cm, width 21.5cm, weight 2.44kg. 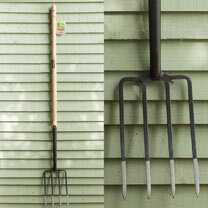 Long Handled Digging Fork - Gentle on your back. 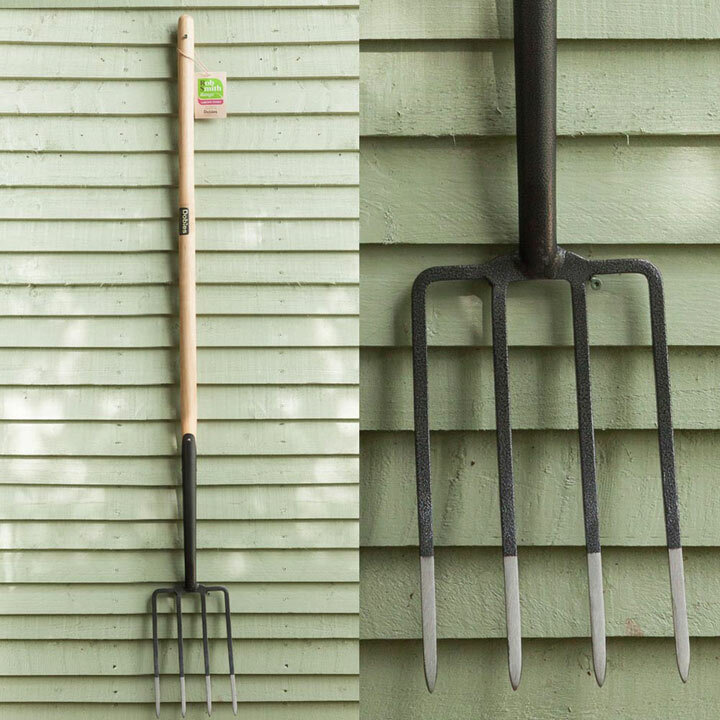 This strong, heavy-duty fork has a longer 48” sculpted ash handle, meaning you can hold it how you like and it’s gentle on your back. 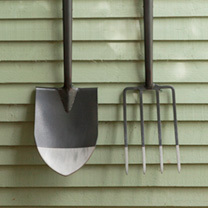 The carbon steel fork means you have a strong and durable digging tool that you’ll use for years. Length 160cm, width 18cm, weight 2.44kg.